Moms, dads, best friends and family—almost the entire front row. I was so sad, not because I couldn't get a shot, but because I didn't want the shot. Seriously: at the wedding ceremony of two really nice people who really love each other, I didn't want to take a shot of their parents, family and best friends. People are experiencing weddings (and life) through phones, and I’m documenting people experiencing weddings (and life) through phones. I argue that when you are actively photographing or taking a video, you are not fully experiencing the moment. It's a balance. I have struggled with this as a landscape photographer—my eagerness to attack a scene where the mountain is glowing, the water is still, and the sunset is perfect can sometimes result in me walking away with a drop-dead, even award-winning, photo and not an experience. I have to put the camera down and stop for awhile. Here we are in a beautiful place with all the wonders of the world surrounding us, and we forget to live, smell, feel and absorb. We should be creating memories that cause our hearts to beat a bit faster, not just pretty pictures. I have come to believe that a pretty picture without an experience attached just isn’t worth it. 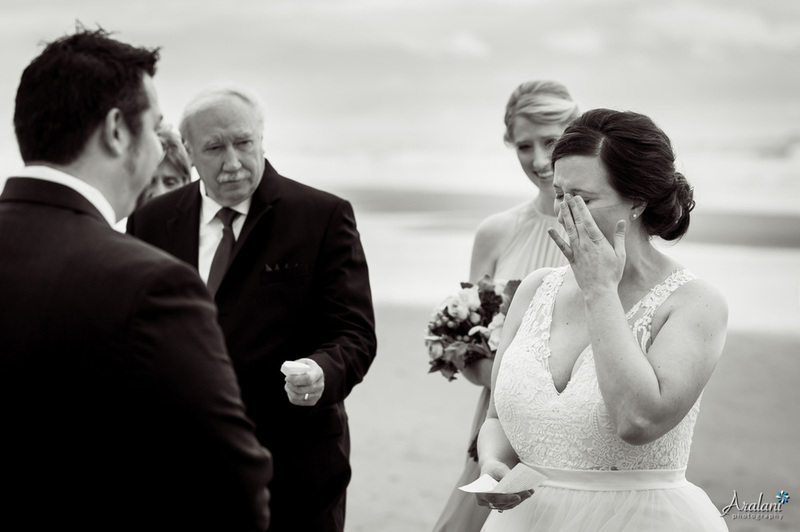 My job as a wedding photographer is to see and document and preserve. I want everyone in attendance, especially parents and best friends and close family, to be able to enjoy the moment and be completely present. I want to see an actual face having an actual reaction to one of life’s more important moments. The face you make when you’re taking a picture with your phone? 95% of the time, it’s a look of random concentration or smiling detachment (or worse, a complete lack of emotion). It is not the heartfelt, genuine smile or real emotion that deserves to be remembered. It’s not a real piece of you. It’s just a mask. Couples: please discourage the use of phones and tablets at your wedding ceremony. Tell people to put their screens away, and have your officiant make an announcement. Assure them that you've got it covered--it’s part of the reason you hired a professional photographer you trust. Whatever you do, give your guests an incentive to sit and enjoy without being encumbered by technology. Guests: unless requested by your hosts, put the technology away for the ceremony. Breathe, absorb, enjoy, experience. The reception is a great time to take pictures! This may get worse before it gets better, and I may be an idealist, but I’m also a humanist. I want us to be remembered and documented for who we really are. I want us to live and feel and experience with vibrant detail. I want to take beautiful photos of your beautiful faces having an amazing experience as your friends, family and loved ones get married. And I want those photos to last, not just on our phones, but on real, touchable surfaces that don’t need to be plugged in. Cherished as heirlooms, history, and a piece of us that we can leave behind forever. Memories that were truly experienced. Put the screens away, friends. LIVE. P.S. My fab couple, Kelly & Jason, put these on every chair at their ceremony. Rock on.